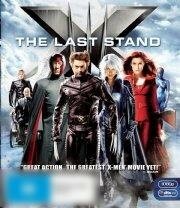 Synopsis: Sworn to protect the world that both loves and hates them, the X-Men are a group of heroes both blessed and cursed at birth with mutant abilities that set them apart from mankind. Gathered together by the mutant telepath Professor Charles Xavier in hopes of bridging the gap between mutants and mankind, the X-Men have been trained to use their diverse powers for good. The next chapter in the X-Men franchise finds the mutants still living in a society that mistrusts them. Struggling to find their place among humans, the mutants continue to face challenges.